So much happens in the world of science each day. It would be difficult to sum up a year of scientific discoveries in one blog post, however I will attempt to share some of the stories I have found interesting this year. I have been writing about science in the news since September and I appreciate all of you who have read my posts. I hope that you have found the news interesting and have been able to use the resources and activities with your children or in your classrooms. For those of you who have been with me since day one, and those of you who haven't, here is the year end science news round-up. See something that interests you? Click on the links to see my posts on those topics. I love wildlife, so often animal science catches my eye. From fish that "spit fireworks" to investigating how the shape of rhinoceros beetles' horns help them beat their opponents, scientists have been busy investigating animal adaptations. 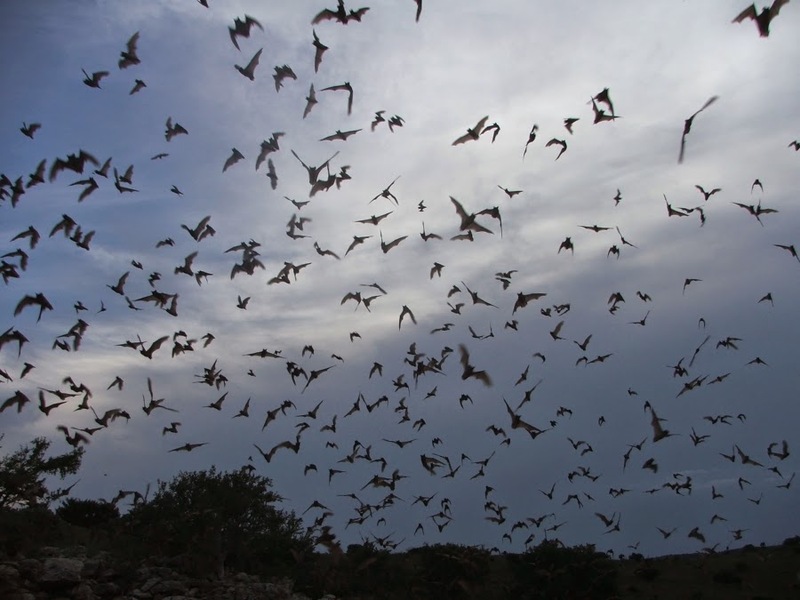 Who knew that bats could jam the echolocation of other bats to secure their food, or that fish exhibit play behaviors? Long-standing beliefs about animals changed when we discovered that giant father salamanders take care of their young, and new genetic mapping completely changed our classification system of birds! We also learned not to swim too close to electric eels, particularly if you happen to be a fish, unless you want to lose control of your nervous system! It has been a great year for astronomy and space exploration. Just in the past few months NASA has launched the MAVEN spacecraft to study atmospheric conditions on Mars, and had an incredibly successful trial launch of the Orion spacecraft. 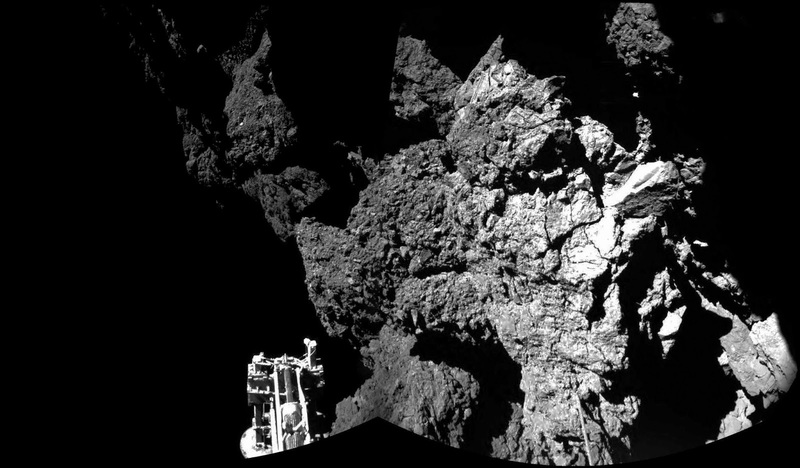 History was made when the European Space Agency's Rosetta Mission put the Philae lander on a comet. The second of four lunar eclipses to occur in 2014 and 2015 occurred in October and the Geminid meteor shower lit up the sky in December. Exciting advances in innovation including 3-D printing and the eruption of the "maker" revolution have kept me in awe throughout the fall. I have been inspired by the inventions by students like Ann Makosinksi's flashlight powered by your own hand. Not to mention the incredible medical advances 3-D printing has allowed for, especially in prosthetics for children and human organ growth. 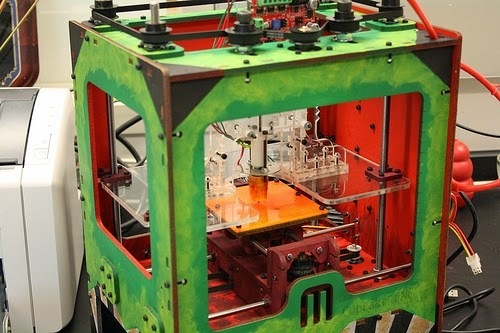 It even turns out someday we might all be printing out our meals on 3-D food printers. Robotics like "robochick" and "flipperbot"are being used in wildlife biology particularly with penguin and turtle monitoring. Technology is moving along at lightning speed! Weather is often a topic of conversation and we've made some discoveries there, too. 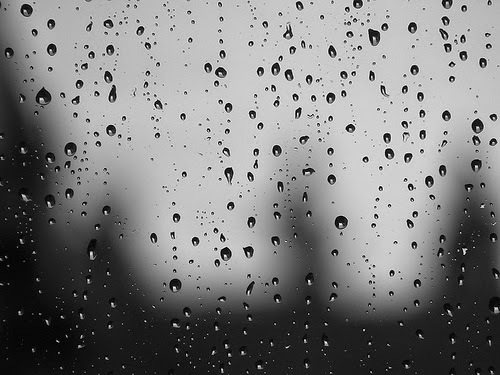 Our previous understanding of rain drops was blown out of the water when scientists found that some droplets travel faster than their terminal velocity! Students are designing their own weather balloons and participating in citizen science programs to help propel our understanding of weather patterns. Even birds and cows might help us to make predictions about storms and weather now that we understand more about them! Children's language development and their exposure to musical training programs is linked? Scientists finally named Earth's most abundant mineral after half a century? Average citizens just like you are participating in citizen science projects like PenguinWatch? Dreadnoughtus, the largest dinosaur to ever be discovered, was named this year? Not to mention an over-abundance of acorns and pristine fossilized remains of carnivorous plants! Who knew?! I probably was hungry when I decided to write about the trend of eating invasive species and how artificial sweeteners interfere with the beneficial microbes in our guts! Then the holiday season got me researching about pumpkins, Turkey genome sequencing and science experiments for Hanukkah and Christmas. I have shared my observations and resources for studying snow crystals, animal tracks, oak ball galls, meteors and feeder birds. 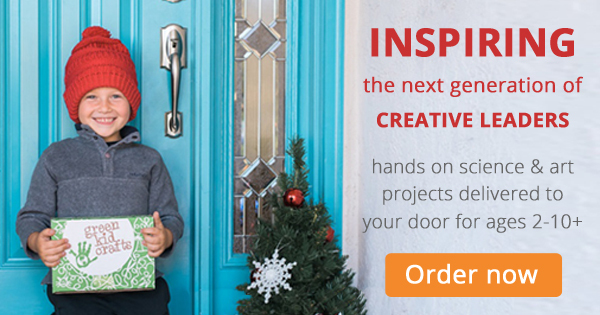 If you are still hankering for a science experiment to try at home after reading about all of this science, perhaps something with bubbles, milk, eggs and toilet paper rolls, driedels and spinning tops or poinsettias and candy canes will feed the need! That just scratches the surface of all the science discoveries in the past four months. If you still have some space in your brain, hop on over to my "Extra, Extra! Read all about it!" page to see some interesting articles that I didn't have a chance to write about. We have known for quite some time that wild animals are able to sense phenomena humans are unable to understand. Two recent studies have shown that if we could talk to the animals, Dr. Dolittle style, then maybe they could help us prepare for storms and weather patterns! 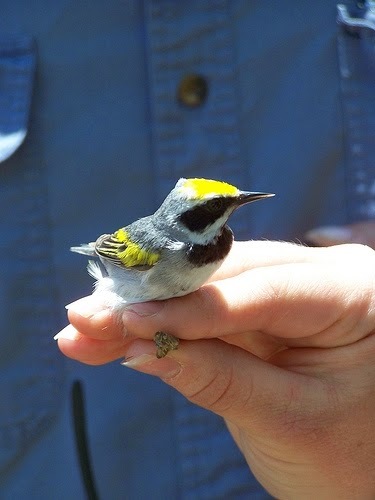 Scientists studying the migratory behavior of the golden-winged warbler in eastern Tennessee saw something unexpected as they reviewed their data. The birds were being tracked by geolocator throughout their migration and had arrived at their normal breeding grounds in the Cumberland mountains of Tennessee. Then, for no logical reason, the small birds had changed course and flown about 932 miles out of their way to the Gulf coast and back again a few days later. The researchers thought that this anomaly was some sort of fluke. Upon further review of the data, and taking into account other environmental factors during that time frame, it was evident that the tiny birds had flown away to avoid tornadoes that would arrive there two days later. The supercell storms caused 84 tornadoes and killed 35 people as they swept through the southern part of the United States in April, 2014. The birds had vacated their breeding grounds when the storms were still hundreds of miles away and before any noticeable change in air pressure, temperature or wind speed had occurred in the area. So how did the birds know to leave when all weather conditions seemed normal? It is most likely that the birds heard what scientists call "infrasounds". Infrasounds are those that fall into the range of frequencies below 20 hertz. Although this is below the human range of hearing, birds and other animals can hear these sounds. Infrasounds include winds blowing over mountains, ocean waves hitting shorelines, bombs exploding, supersonic jets and volcanoes erupting. 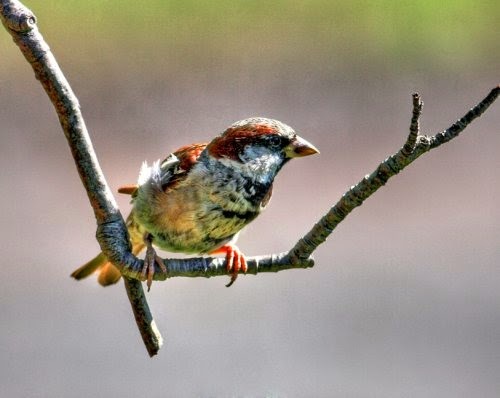 Birds use these sounds as a map when they are traveling. Although it has been noted many times that birds alter their routes due to weather during migration, it has never been documented that they move away from breeding grounds to avoid weather like this before. Once the storms had passed the birds returned. It does beg the question, if we were more in-tune with nature would we be able to prepare better for unexpected weather? The next study might prove an old-wives tale true. A common weather adage is that when cows lie down it is about to rain. If cows are standing in the pasture it is thought that there will be clear weather. Before we had easy access to weather predictions people had to take cues like these from nature to know what was to come. Scientists from the University of Arizona studied cow behavior and weather patterns to see if this old belief was true. Researchers put pedometers on cows to measure their activity. 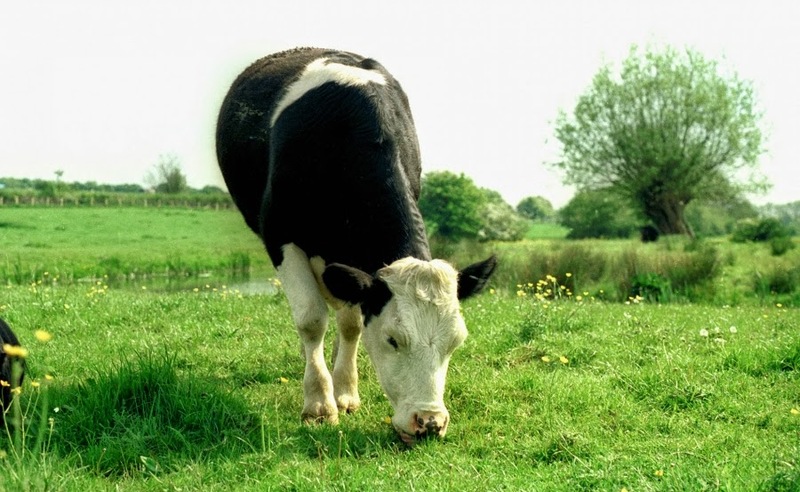 The scientists found that in warmer weather, the cows spent more time standing up. If the weather began to get colder, as it does when a storm front is approaching, the cows more often laid down. The belief is that the cows stand to allow for more air flow around their bodies when it is hot to keep them cool, and lay down to conserve energy and heat when it is cold. Further research to include changes in humidity will have to be completed before we can consider this old belief to be completely true, however, there is clearly science to what farmers have been observing for thousands of years! Animals can tell us so much and as scientists we are just learning how to understand them. As we uncover more and more of the mysteries of the natural world and pay more attention to natural cues we will better understand how to conserve wildlife and make choices that keep humans safer. Our ancestors were in-tune with the world around them and in many ways it is something we have lost. I hope that more studies like this will engage humans with nature again. 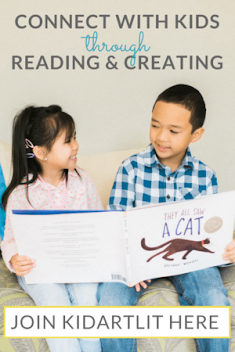 For lesson plans and information on animal communication to engage your kids and students, check out the links below. Futurity: "Birds Knew to Flee Before Tornado Hit"
Daily Mail: "Cows really can predict the rain. Scientists prove they are more likely to lie down when the weather is cold." WeatherBug: "Can Cows Predict the Weather?" Weblessons Online Learning "Ways Animals Communicate"
I hope that everyone is enjoying a happy and healthy few weeks of holiday celebrations. After taking a brief hiatus to visit and celebrate Christmas with my family I am back with a few science ideas for some of the leftovers from the season. Why not keep the Christmas spirit going a few more days? Although you could do any of these science investigations before Christmas, they are also great to do with the "leftovers" like all the candy canes and beautiful poinsettia plants. 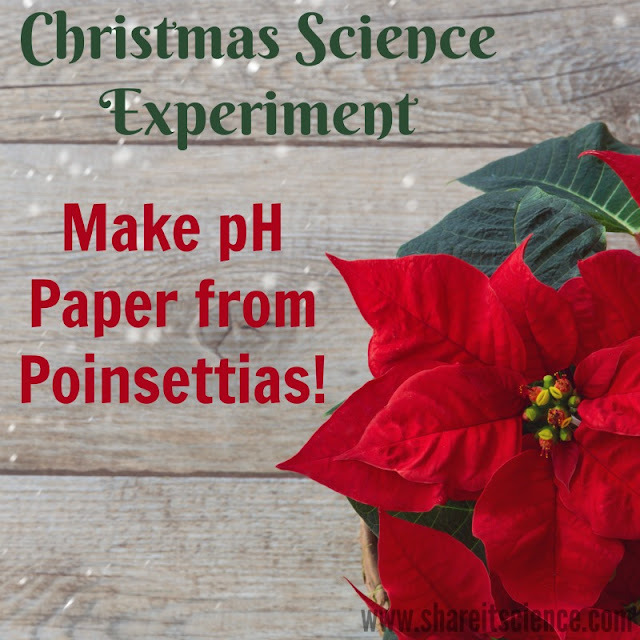 Did you know you can use poinsettia in a pH experiment around the house or in the classroom? Read on for this investigation and several other fun ones for your kids or students. Many of you probably received a lovely poinsettia plant as a gift or bought one to brighten up your house for the holidays. The poinsettia is a perennial in warm climates like those in its native range Mexico and Central America. Although it is possible to keep a potted poinsettia alive and blooming for a second year, it is very difficult (I speak from experience!). Most likely once your pretty plant has graced your house with it's red specialized leaves for a time, it will die off. Before it does, you can turn it into a science experiment! You might have experience using red cabbage as a pH indicator to test liquids to see if they are acids or bases. If you haven't tried this before, it is another good kitchen chemistry experiment to try at home. Check it out here. Another great post outlining pH experiments using plants can be found at Growing With Science. 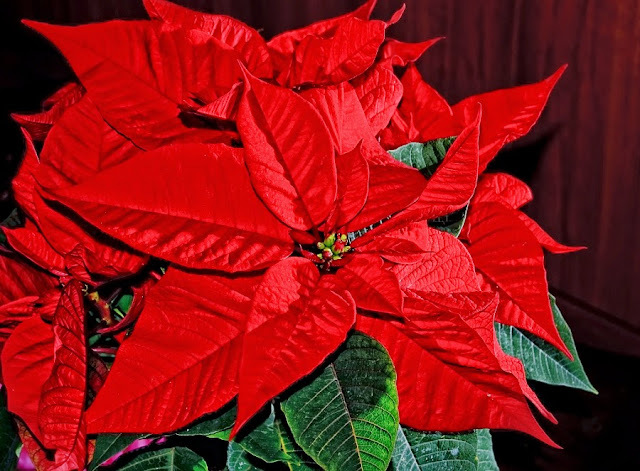 The leaves of the poinsettia work similarly as an acid and base indicator. Please note: As in any science experiment it is important to not eat any of the substances you are working with. Many people have held on to a belief that poinsettia plants are highly toxic. 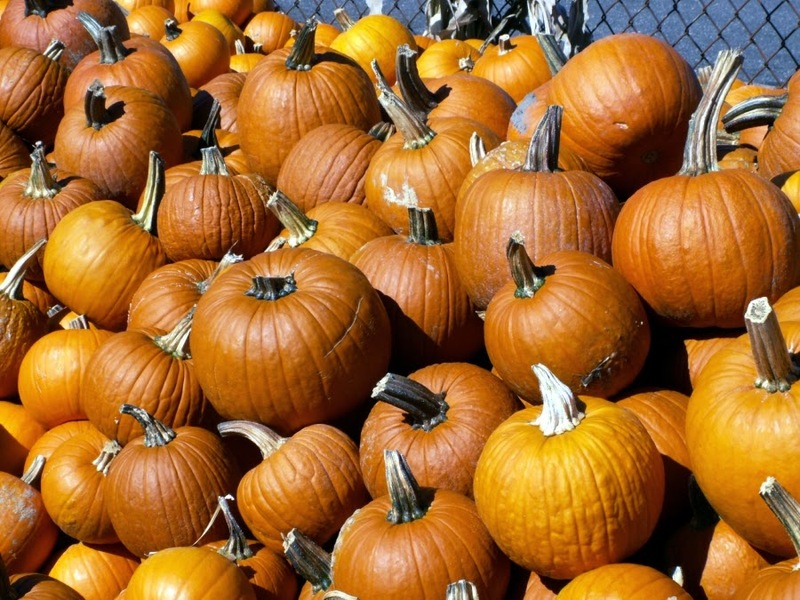 If consumed in very high quantities, this plant can be toxic to people and pets. As long as there is adult supervision and nothing is consumed during this project, it is perfectly safe. To try this out you'll need some poinsettia leaves (the red "flower" part is actually made up of specialized leaves), a blender or something to chop leaves with, a stove top or hot plate to boil and simmer your leaves in water, q-tips or toothpicks, and coffee filters. First chop up (or blend) some of the leaves and put them in boiling water. Allow them to simmer for a just a few minutes until the color is removed from the plant matter. Let the solution cool. Place a coffee filter into the solution and allow it to soak up the liquid. Remove the colored coffee filter and allow it to dry. Once dry, cut the filter into strips. There are all sorts of things that can be tested around the house, but again, please keep in mind safety! For a pH scale and more information visit this site. If you are interested in diving deeper into the chemistry of the poinsettia, visit this site for a great graphic. 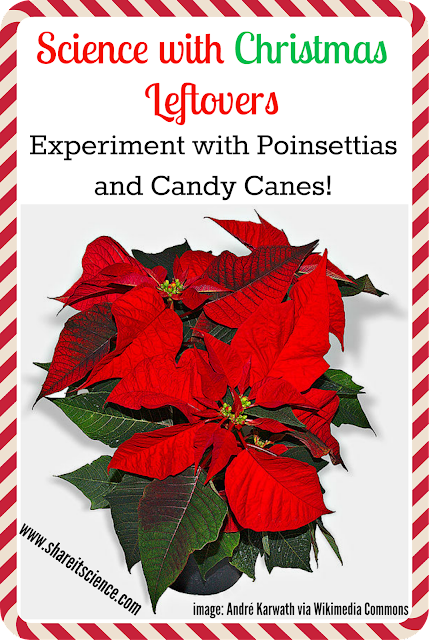 There are also many fun science experiments you can try with peppermints and candy canes. Most of us have probably consumed more than our body weight in goodies in the past few days, so why not use some of those leftover minty treats to explore science? 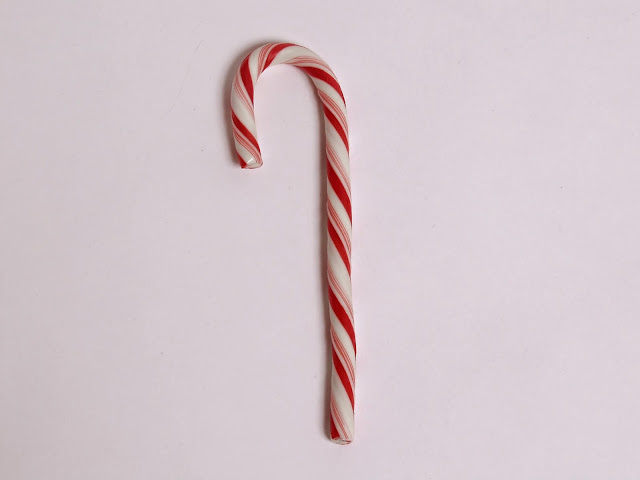 Explore heating and cooling by bending some candy canes. Investigate how sugar dissolves in water with "disappearing candy cane stripes". Have some of those round peppermint candies leftover? Try out some of these sensory table ideas. For other holiday and winter season science ideas check out my holiday/seasonal science Pinterest board. Happy Hanukkah! The Jewish Festival of Lights, is a wonderful opportunity to experiment with dreidels and spinning tops. 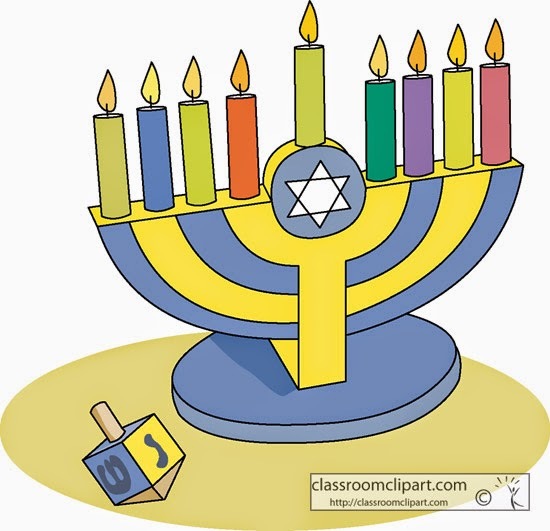 During Hanukkah children traditionally play with the dreidel, a four sided top inscribed with Hebrew letters that serve as an acronym for "A Great Miracle Happened Here". 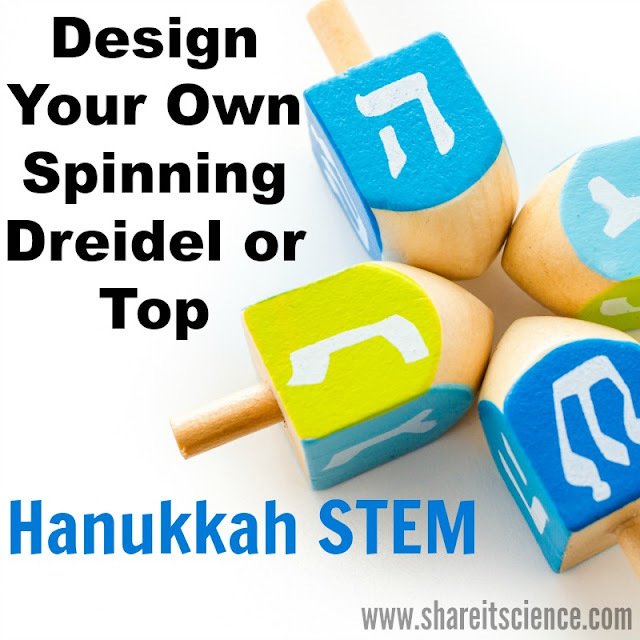 Science and physics are everywhere, including games that involve a spinning top! This time of year I enjoy giving my fourth grade students the engineering challenge of manipulating the dimensions of a top until they find what makes it spin the longest. The students may change the length of the "stem" or axle that the top spins on, how much of the stem is above or below the disc, and how wide the disc is. You can easily try this science challenge at home. If you have any actual dreidels or tops you could get those out and measure the dimensions and spin times. What do you find out? 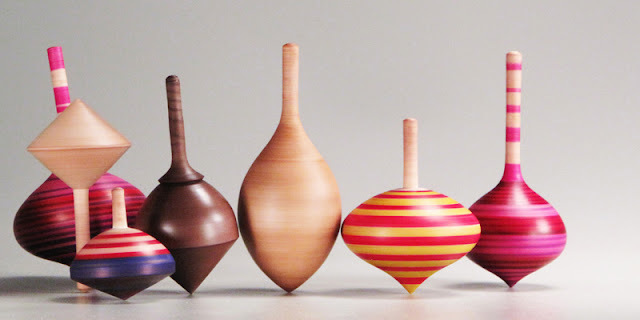 If you don't have any pre-made spinning toys there are plenty of ways to make them. I offer my students the following supplies, but this list is by no means the end-all-be-all! There is a lot of room for creativity here! They can build with whatever materials they like. We vary the size of the cardstock discs, the length of dowels or build with K'NEX. If you don't have K'NEX at home, try other building toy sets like LEGO, Tinkertoys, Joinks, etc. Other household items could be jar or container lids, old cds, pencils, q-tips, etc. I think it is always more valuable to have your child experiment with their own designs first before giving them a recipe-style plan. If this self-exploration becomes frustrating it is always good to have a back-up plan to insure success. You might want to try some of these ideas on Pinterest if this is the case. 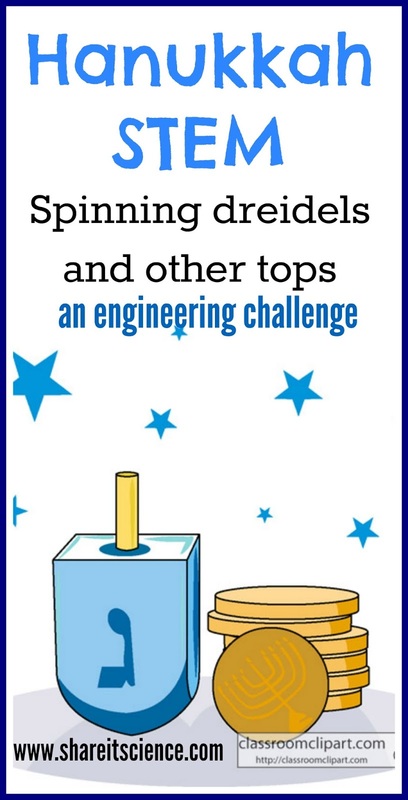 After experimenting for a while, you might want to try some of the variations of this exploration in this spinning tops lesson plan. Which designs work the best? What are some of the variables that affect your experimentation? [One big one is that you cannot consistently control for how the top is spun, however, if you have a design that works well it will be clear that it spins longer regardless. We're not trying to publish our data after all!] If you'd like to get deeper into the actual physics of angular momentum you may wish to visit this site. One of my great winter joys is feeding and watching birds. We got our feeders out earlier than usual this year and have a great variety of visitors including most of the usual suspects: chickadees, titmice, several types of finches, a variety of woodpeckers, and on the ground: juncos, bluejays, and mourning doves. A couple of birthdays ago my husband got me a Wingscapes Bird Cam, which works just like a game camera does, snapping shots when animal movement is detected. We love looking over the hundreds of photos of birds from our feeders. This week I was looking back at some pictures from a few weeks ago. I usually just skim through thumbnails for something interesting. As you can imagine, there are many shots of empty bird feeders swaying around, or just chickadees, chickadees and more chickadees. (Don't get me wrong, I do love my chickadees...they just outnumber everything else!) I couldn't help but notice this titmouse (or maybe several different titmice...) eyeballing our camera. All the other birds seem to go about their business, but it looks like this little guy has found us out! In each picture, all taken on November 20th, as you can see by the date stamp, the bird seems to be looking directly at the camera. I realize from a science perspective that I am anthropomorphizing this situation, or giving human qualities to a non-human organism. It could be that the timing was a coincidence, or that the large black eyes of a titmouse just look like they are imploring more so than other birds. From a less black and white perspective, the photos brought a smile to my face. Watching another living organism joyfully (yes, anthropomorphic again) going about their daily routine is what makes bird watching fun and worthwhile. So, regardless of the truth of the matter, I'd like to believe that this titmouse is on to our sneaky photography! The Tufted Titmouse, which is what we observe at our feeders, is a small gray bird found in the Eastern half of the United States. The titmouse generally eats insects, but due to their unavailability during the colder months these little birds depend on hoarding seeds they find in bird feeders. The titmouse is related to the chickadee, which is also found in the Paridae family of the order Passeriformes. There are many great resources for birding, bird watching and identification. Some of my favorites are Cornell's All About Birds site, "Peterson Field Guide to Birds of Eastern and Central North America", Stokes' "The Bird Feeder Book: Attracting, Identifying, Understanding Feeder Birds ", and whatbird.com, an online guide to identifying birds using a key. Cornell's Citizen Science Blog recently had a post concerning where to position feeders. It included a Google maps tool to help map out the proper distance from your home to prevent fatal collisions with windows, sliding doors, etc. You'll find that post here, it is definitely worth checking out. Do you feed birds over the winter? Have an anecdote to share? Comment below! Unfortunately animal dads frequently get a bad rap. The male of the species is often the "lone wolf" type, who does not live with the females or take part in the raising of young. Of course there are several exceptions to this. One particularly interesting one comes from an underwater habitat in Japan. The Japanese giant salamander is a humongous amphibian. 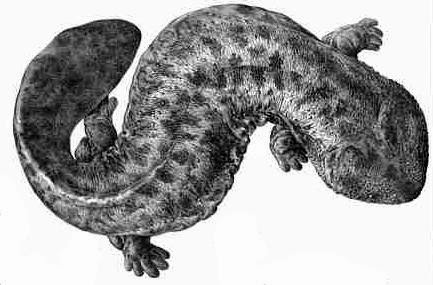 This ancient salamander can grow up to 5 ft long! The largest of the males of the species take up residence in freshwater dens. These "den-masters" create burrows and maintain the dens, which are only accessible to females. Females visit the den to mate and lay eggs, then they leave. The male salamanders stay to care for the eggs. Scientists recently identified three specific behaviors that the salamander dads exhibited when caring for their young. Their research was published in the Journal of Ethology. The three behaviors were: tail fanning, agitating and egg eating. The latter two might not sound like positive behaviors in the care of fragile eggs, but they do indeed have beneficial results. The salamander dads fan their tails over the eggs to oxygenate the water surrounding the eggs. Researchers found that in artificial den situations with lower oxygen levels the salamanders fanned their tails more vigorously to make up for the low oxygen conditions. The salamanders moved, or agitated the eggs with their heads and bodies. Researchers believe this prevents yolk from sticking to the sides of the eggs and causing the salamander embryos to develop incorrectly. Lastly, the male salamanders ate some of the eggs. It is not uncommon for males, and even females, to be egg cannibals. However, in this case the salamander dads only seemed to munch eggs that were cloudy and most likely dead, unfertilized or moldy. It is thought that this protects the other eggs from infection. 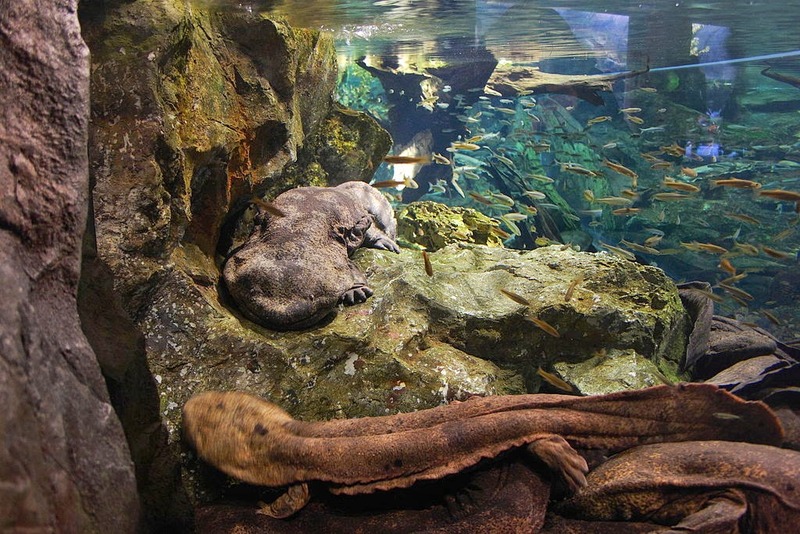 It may be possible that the Japanese giant salamander has relatives, such as the hellbender and the Chinese giant salamander, that exhibit similar paternal behaviors. These new details may help in conservation efforts to save dwindling populations of the Japanese giant salamander. Population numbers have dropped due to habitat loss and hunting. DOGO News: "Ancient Japanese Salamanders Win Top Marks for being Awesome Dads"
Wired: "Japanese Giant Salamanders Are Devoted Dads"
Scientists love to organize things into categories. Scientists also love to re-organize the same things into different categories. This happens constantly when it comes to phylogeny, or the history of the evolution of a species. Often the re-organization takes place after new clarifying evidence emerges. Last week a series of papers were published in the journal Science, after a study that was literally an international collaboration took place over the course of the past four years. Scientists joined forces globally to map and analyze the genomes, or the genetic material, of 48 different bird species. With these new genetic maps they were then able to reorganize the family tree of many bird species. What they found was surprising, but sensible. 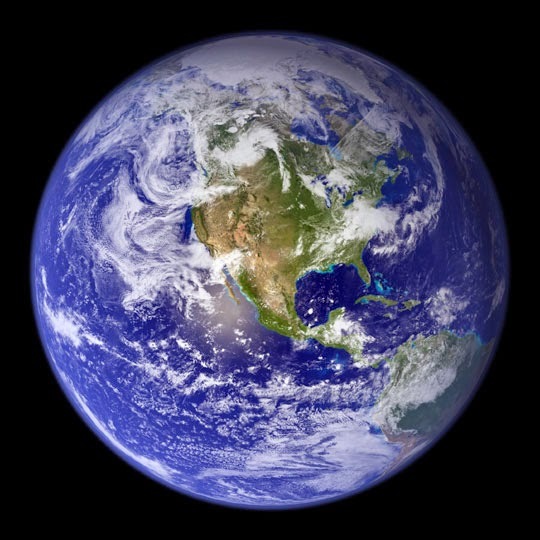 The new evolution map (see it in this article) shows very clearly the population and diversity explosion that resulted after a large asteroid collided with Earth and caused mass extinction about 66 million years ago. Although land birds suffered during this time, flying birds flourished. With this new data it is obvious that prehistoric birds evolved into just a few groups. Paleognathae branched off as two groups of land birds, the ostrich and tinamous, a group of land birds found in Mexico, Central and South America. Another large group, Neognathae, branched twice. One branch is the Galloanseres, which are land fowl and water fowl, birds like chickens and ducks. The other branch is the Neoaves, which includes all other birds. So, lets put aside the scientific names and break this down- unless you are a land bird or fowl, you are very closely related (genetically speaking) to all other birds. Of course there are many groups within Neoaves: birds of prey, water birds, songbirds, etc. What is mind-boggling is how many different species evolved after that asteroid hit. Scientists have seen a similar pattern in the evolution of mammal species. Mammals and birds capitalized on filling the newly open niches left behind by the dinosaur's extinction. Scientists learned a lot through this collaboration. Other papers in the series dealt with evolutionary connections in vocal learning, bird's loss of teeth and the cold tolerant adaptations of penguins. Although science is often collaborative, it is rare that it is on such a grand scale. I believe that due to cooperation on the part of scientists globally these studies were able to happen much more quickly than they usually do. Hopefully this will spur many other team efforts. Science certainly does not happen in a bubble! NPR: "Birds of a Feather aren't Necessarily Related"
Nature: "Flock of geneticists redraws bird family tree"
This weekend we'll explore two different experiments that use similar principles. Both are challenges to see how much weight an object can support. You'll need raw eggs, or toilet paper tubes (paper towel tubes work too!) You might even want to try this with both. The challenge: to see how much weight empty eggshells or toilet paper tubes can hold. If you choose to use egg shells you'll need to empty them first. Sounds like a good project to do after a delicious hot breakfast! After breaking the eggs by tapping them on one end, clean them out really well. You'll need 4 egg shell halves, approximately the same height. You'll want to be careful to not make any large fissure cracks on the eggs. 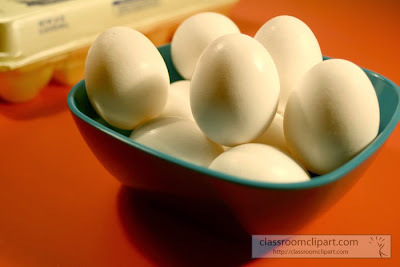 When your egg halves are ready, put them open-side down on a flat surface like a table or counter. Make a prediction- how much weight can the eggshells hold? Large books are good to use as weight. See how many you can stack on top. What happens if you stack other things on top of the books, like cans of soup? Try it out! Check out the Science Sparks version of this experiment for some hints, tips and pictures of how to be successful with this experiment. You might also like this Steve Spangler experiment- "Walking on Eggs" although you will need many more eggs to complete it. Why do these experiments work? The dome shape of the egg helps to distribute the weight. Can you brainstorm other places where similar shapes are holding large amounts of weight? Another variation of this is to see how much weight toilet paper tubes can hold up. Place several toilet paper tubes vertically on a flat surface. Begin adding weight to the top. Make a hypothesis about how much weight you can add without crushing the tubes. If you have someone to spot you, will the toilet paper tubes hold your weight? How many toilet paper tubes do you need to hold your weight? Do you think the column shape of the tubes is a strong shape? This is a great introduction to design in load bearing structures. Next time you observe a bridge or a construction site see if you can find these shapes with your kids. I would love to hear the results of your experiments. If you try this out, comment below! This Saturday night, December 13th, 2014 will be the best timing for peak viewing of the Geminid meteor shower. If you have not experienced a good meteor shower before, I highly recommend the effort of bundling up and heading outside to check it out. Although we often tried to see meteors when I was a kid, the timing or location never seemed to work out to see very many. When I was in college I took Astronomy. As a course requirement we all got geared up and ventured outside at around 2:00 AM to view the peak of a winter meteor shower. It was spectacular. I counted 200 shooting stars and then stopped to just enjoy the rest. The Geminid meteor shower occurs as Earth passes through the debris of an extinct comet named 3200 Phaethon. As this happens we see meteors flying from the constellation Gemini, hence the name: Geminid meteor shower. During the nights of December 13th and 14th if you are in a dark, rural location at the appropriate time you might see up to 120 meteors an hour. It looks like we are in a good position to see some meteors before the wee hours, so head on out after dark and see what you can see! 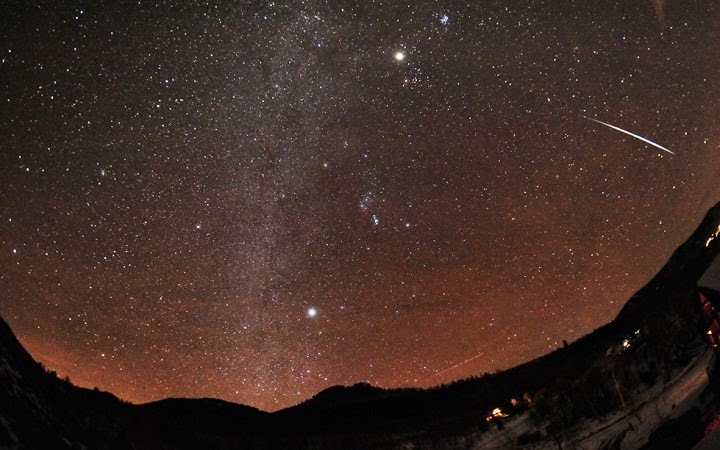 There are several methods to locate the constellation Gemini in the night sky. If you live in the Northeast and are good with a compass, look in the east-northeast sky within 3 hours of sunset. You can also use a star wheel like this one to help determine the location. Another excellent tool for orienting yourself to the night sky is Google's Sky Map app. With the app you hold your phone or device up toward the sky and it shows what you should be seeing in your location. Gemini is the constellation of the twins, and as the meteor shower is going on the Google Sky Map view looks as if one of the twins has crazy hair! You can't miss it! If you have downloaded the Stellarium planetarium software that I have mentioned in other posts about astronomy, you can set the time and date and search for Gemini. Once you've spotted it, do yourself a favor and turn off the tech so that you can appreciate the real-life experience of watching the meteor show! I am looking forward to going out to view the meteor shower over the weekend. I hope that you can experience it too. Happy star-gazing! We've known for quite some time that electric eels supply quite the electrical charge, but up until now it was not entirely clear how they attacked their prey. Scientists from Vanderbilt University recently published research in the journal, Science, that clears up this mystery. The study shows that the eels send out a series of shocks to immobilize their prey. The interesting part is that the shocks seem to usurp the nervous system of the prey. The first pulses make the prey fish twitch uncontrollably, which alerts the eel to its position. The next pulses are high frequency shocks that basically take over the prey's nervous system remotely, making their muscles contract and their fate as a meal inevitable. To show that the fish were no longer in control of their body's functions the researchers tested the effects on fish they had removed the brains from. The muscles of the "zombie fish" contracted with the pulse the eel sent out, proving that the eel's signal was in control of the fish. Further testing showed this also to be true in different scenarios. This particular behavior is interesting in the respect that it not only serves to stun and trap the eel's prey, but also to find them in the dark murky waters it hunts in. It is unknown if this phenomena occurs in any other predatory fish. This is only one of the amazing adaptations in the world of plants and animals. Check out my other posts that involve plant and animal adaptations here. 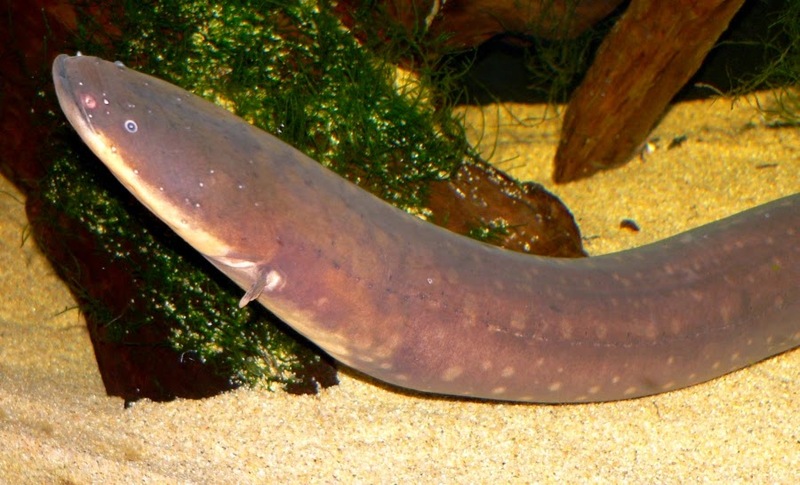 Science News: "Electric eels remote-control nervous systems of prey"
New Scientist: "Eels use electricity to remote control prey movements"
Geek.com: "Electric eels can remote control their prey"
such as acidic bogs, or rocky outcrops. They make up for the nutrient deficiency by trapping, digesting and absorbing the nutrients found in insects. This fossil was an incredible find, as plants are rarely found preserved in amber, and this group of plants is generally found in South Africa. Researchers now believe that these plants were most likely more widespread than they are now. Roridulaceae was thought to have been isolated on the continent of Africa after the Gondwana supercontinent broke apart around 180 million years ago. Perhaps this was not entirely the case. Although the specimen is beautifully preserved, it is hard to know what the plant looked like, or to truly understand its behavior. We can assume that it operated similarly to its more modern relatives. Roridulaceae is an interesting group of carnivorous plants because individuals depend on a symbiotic relationship with another insect to digest their "prey". Although just a sliver of botanical history, the fossil does help to inform us of what the Baltic forest may have been like during the Eocene epoch. 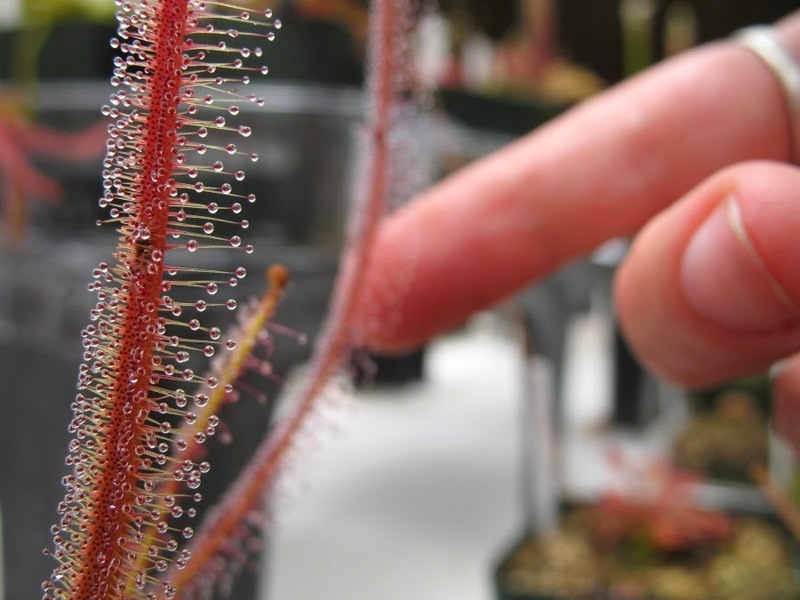 We know that carnivorous plants can grow in areas that are nutrient-poor, but this is only one piece of a larger puzzle. Maybe this fossil discovery will make way for others that help us paint a more accurate prehistoric picture. New Scientist: "First carnivorous-plant fossil is 40 million years old"
United Press International: "Baltic amber contains prehistoric fossil of carnivorous plant"
Fruit Fly Traps, Bill Nye: "A Slice of Apple Fly"
This weekend, if you have some milk in the fridge then you are well on your way to investigating polymers and surface tension. The following are 2 science experiments involving milk to try. Have fun and let me know your results! You'll need some milk and white vinegar, plus something to heat your mixture. The stove or microwave will work! Heat 1 cup of milk until it is steaming (if you use the microwave be sure to watch it carefully!). Put 4 teaspoons of vinegar into a mug. Once your milk is ready, add it to the mug. Stir the milk and vinegar slowly. What happens? You'll see clumps, or curds beginning to form. Once there are many curds, allow the mixture to cool for a while. When it is cool enough to handle drain the extra liquid off of the curds and then put them on some paper towels. Be sure these towels are on a tray or a surface that you don't mind getting wet. Press the paper towel down on the curds to continue to soak up extra liquid. Knead the curds into a ball of dough- voila! milk plastic! If you want to make something out of your plastic, you should form it within an hour of mixing up your curds. Add food coloring or glitter to the wet dough, shape it and allow it to dry. Dried plastic can also be decorated with paint or markers. So what happened here? Plastics are all made up of chains of repeating molecules, or polymers. Plastic can be made of chains of the same molecules or different ones. The milk you used in your experiment contains many molecules of casein protein. 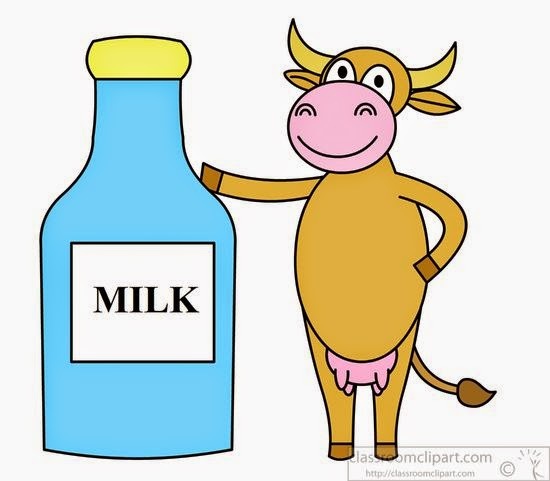 The vinegar is an acid and when you added it to your milk it helped the casein proteins unfold and reorganize themselves into a long chain- a polymer! The plastic you made is called casein plastic and was commonly used in the early 1900's through the 1940's to make many plastic items. Neat! There are many variations of this experiment. www.sciencebuddies.org and www.sciencebob.com are just 2 great sites for science experiments like these! You'll need some milk, a shallow dish or pan, a q-tip, dish soap and food coloring. Pour enough milk to cover the bottom of your pan. Mix up about a half a cup of water and a squirt of dish soap in a different container. Drip several different drops of food coloring on the surface of the milk. Take the q-tip and dip it in the soapy water, then touch it to the surface of the milk. What happens? Magic!? No, but still very cool. The soap on the q-tip breaks the surface tension of the milk. Surface tension is a force that holds a liquid together like a skin. When the surface tension was broken in your dish of milk, it allowed food coloring and more milk to escape from underneath the surface to the top, making a swirling motion. If you enjoy mixing up creations like this in your kitchen check out www.kitchenpantryscientist.com for all sorts of experiments. One of the great parts of late fall and early winter is that we are able to get a new perspective on our natural surroundings. The leaves have fallen, the light reaches places it hasn't in months and there is a stillness that exposes what has been there all along. A few weeks ago as we were raking our yard I noticed many oak galls. Oak ball galls, or oak apple galls, are spherical growths found on oak leaves. Galls grow in many shapes and sizes on a variety of plants. They are caused by insects, generally a type of wasp or fly. The round oak galls that I find in my yard are most likely caused by the oak apple gall wasp, or Amphibolips confluenta. This small wasp lays its eggs on the center vein of an oak leaf. The tree responds to a chemical reaction caused once the larva has hatched and begins munching on the leaf. The leaf grows a mutation around the egg. Some galls are troublesome to the plant, but this type of gall is rarely harmful to the tree. This is the first step in a fascinating life cycle. As the larva continues to eat and grow, the gall grows too. When the larva is full grown, it pupates and then eats its way out of the gall, emerging as a winged, full grown adult. The cycle begins again. 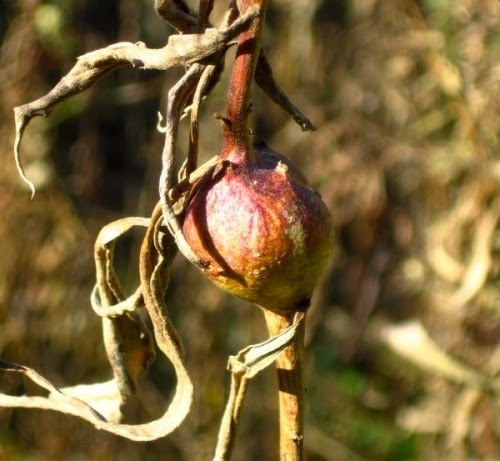 Another type of gall that you may have observed is the Goldenrod ball gall. If you have access to a field that has not been mowed, you can easily find these galls in the winter months. There are many great informal and classroom investigations that can be done with these galls. The goldenrod ball gall is another spherical gall that grows in the stems of the Goldenrod plant. This gall grows in a similar way to the oak gall, but is caused by the larva of the spotted-winged fly, Eurosta solidaginis. The fly lays its egg on the stem of the plant during the summer. When the egg hatches the larva burrows into the stem of the plant, hollowing out a living chamber for itself. The plant forms a gall around the chamber. While still a larva the creature chews an exit tunnel for itself. It must chew its exit tunnel while still in the larva stage as adult flies do not eat and therefore do not have the mouth parts necessary to escape their childhood home. The larva pupates, emerges as an adult and the process begins all over. I have always found galls interesting. To read more about types of goldenrod galls see this article that I wrote several years ago for the Squam Lakes Natural Science Center. You may also want to check out this post that Sue at Archimedes Notebook recently wrote about galls that she observed on her hickory leaves. It includes a link to some other types of wild looking galls. If you are interested in learning more about Goldenrod galls specifically, as they are fairly easy to spot this time of year, I would encourage you to check out this interesting study at the American Museum of Natural History's website. If you are a teacher or just an inquisitive naturalist, you might want to try this Goldenrod gall lesson from the Cornell Institute for Biology Teachers, or this activity from Cornell for ages 12 and up: "Exploring Plant Galls". 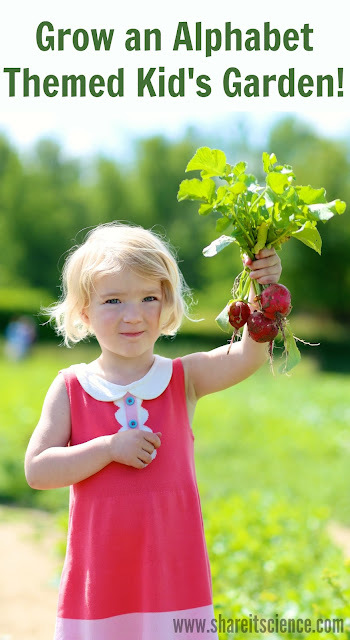 Have you made an awesome science observation this week? Comment below! Orion splashes down after a successful test launch. There is a lot of great video and media if you didn't get to see it live. I've got goosebumps. This is monumental! As many of you know, Thursday's Orion spacecraft launch was scrubbed. It successfully launched this morning and I write this is almost an hour into its 4 hour test flight. Keep abreast of all the details here. Tomorrow, December 4th 2014, will mark the test flight launch of NASA's Orion spacecraft. Orion will be the exploration vehicle traveling with the Space Launch System, NASA's new heavy-lift rocket that will carry humans deeper into space than we have ever been before! Tomorrow's launch, around 7:00 AM E.S.T at Cape Canaveral, will blast Orion into orbit for a four hour flight testing many of the safety systems on board. 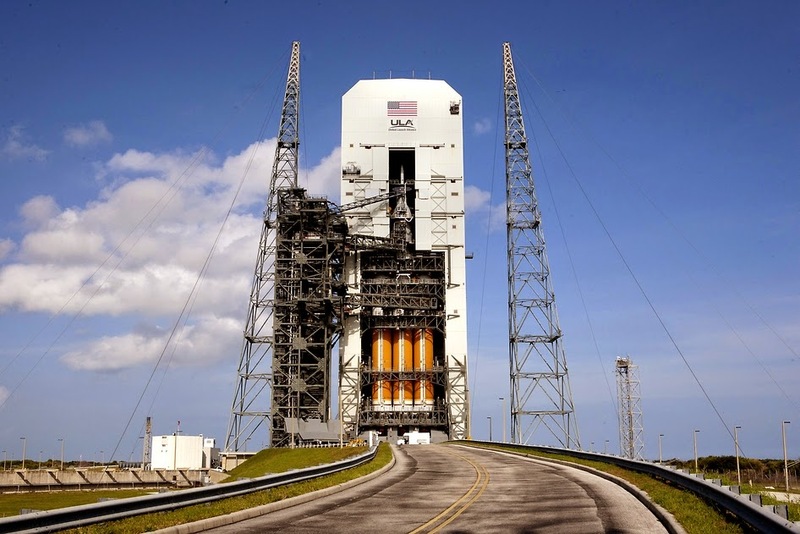 This launch will be the first major test of Orion's abilities. If all goes well this could be the new frontier of space exploration, sending humans to an asteroid and even Mars. Orion has been equipped with systems unavailable on other spacecraft. It has a new type of launch abort system that will improve crew safety, improved propulsion, life support and thermal protection that will make human deep space travel possible. The spacecraft has been through a very stringent series of tests prior to the test launch. This story is still very much unfolding, and no doubt we'll be hearing a lot about it in the next few days, weeks and even years. Despite of the lack of mainstream media coverage, NASA has done an excellent job at making information available to the public regarding Orion's progress and status. You'll find dynamic links and video about Orion here. A launch countdown ticker, news links, video and up-to-date information here. You can connect with the Orion mission on many social media outlets: Facebook, Twitter, etc. I think it is truly exciting that we are able to keep up with this new mission. I hope that it inspires kids and adults alike to have a renewed interest in space exploration, science and engineering! Let's use this as a teaching opportunity!